Covercraft Pro Net truck tailgate nets are offering an affordable way to cut down on fuel expenses. These truck tailgate nets are offering less drag and weight when compared to a regular tailgate. They offer a single piece set up that is recognized as a leader in quality and design. All Covercraft Pro Net truck tailgate nets feature a patented high performance, even-tensioning design that mounts perfectly flat and sag free. Constructed from heavy-duty 22 ounce vinyl coated polyester fabric, these tailgate nets ensure long lasting use that won't crack or fade with time. The Covercraft Pro Net truck tailgate nets are offering a patterned grid that offers air to flow through, which virtually eliminates wind drag. This product was designed to give you better fuel economy as well as saving your truck's engine from the harsh consequences of unnecessary wear and tear. They are also available and shipping in an array of different colors including blue, red, gray, black and white. So whether you are looking to improve fuel economy or save on the wear and tear of your engine, these tailgate nets will work for you. Covercraft is offering a 90 day warranty on all Pro Net tailgate nets. 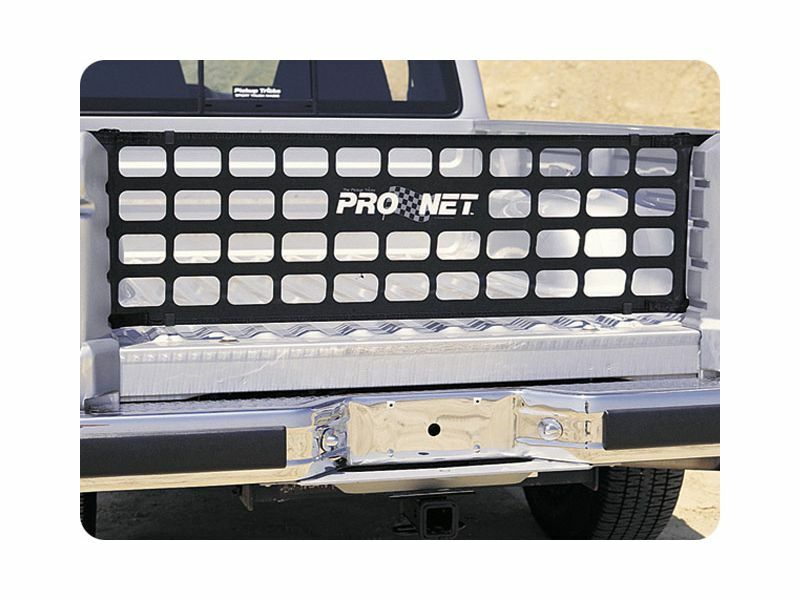 The Covercraft Pro Net truck tailgate net is offering an easy at home installation. For additional information please call us at 1-866-309-1907 or 701-253-5906.